Well, hello from Labuan Bajo! Miss me already? I know that I have been lost for quite some time, and it’s so crazy how my life has been turned around from one plan to an unexpected one. 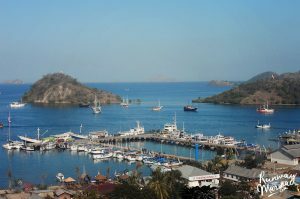 And yes, I am writing this to you from Labuan Bajo, a small harbour city of Flores, Nusa Tenggara Timur. Apparently, this is where I am based now after a very long journey since I quit my job in Jakarta. 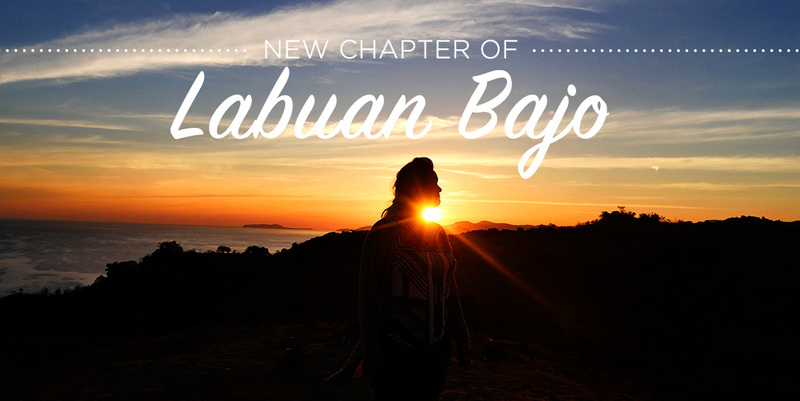 A new chapter of Labuan Bajo to start the post here again. So why here? Oh man… Let’s start at the beginning. I went here in 2012 for the first time when there was literally NOTHING much to do in this small city. I was young when I followed my heart to travel here with a German guy I met on Couchsurfing. I was very interested in Flores and thought that I should take a risk and give it a chance. And yes, the island literally blew my mind. Its panoramic view is totally irreplaceable in any other archipelago I have ever been to and it was an absolutely special place. I had an amazing 2 days and 1 night at the boat where I could get tanned on the boat deck, spoiled my eyes by the amazing hills among the sea, snorkelling and swimming on the clear crystal water, met the infamous Dragon a.k.a Komodo, slept outside with a sleeping bag under thousand stars and woke up with stunning sunrise ever. Nothing could ever beat that kind of experience. Living on board has been my favourite ever since. Even when I decided to go to Koh Tao by the night boat, I was super excited to have the same kind of moments again. Sleeping on the boat with view like this! My trip in Flores back then also include the overland tour where I stopped a couple of times to see how beautiful Flores’s landscape was. Its nature, tradition, and culture are totally one of a kind. 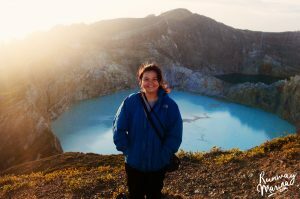 I stopped by at Ruteng, Ende and Maumere where we took a sight of Kelimutu Lake, the 3 colours lakes on the eastern part. That 2 weeks of exploring Flores was one of my unforgettable travel time. Mostly because it was my first flight solo to Bali and Flores by myself; moreover meeting up with a stranger as my travel buddy. Nonetheless, my trip back then was a test for myself; that if I could do this trip safely and survive, I could be anywhere I want and still feel alive. And there goes my next journey of turning my life in Ubud, Bali where I finally met many solo female travellers. You see, Flores was a long lost memory that I had where I didn’t have a chance to tell you in here. It was a bittersweet memory that I am halfheartedly want to recall again. And yet, I am super surprised that I get the chance to come back here again. And hell, to LIVE here too! So what cause it? Well, this could be an old story reliving all over again. I just resigned from my 8-years-on-and-off job. Again. Yes. And this time is the hardest decision I could ever make because I feel like it’s really time to move on. Don’t get me wrong. I love my job. I love my boss (best boss I have ever had. And am not sure I will ever meet someone like him again). And above of all, I love my colleagues so much that I feel like they were my family. I have been thinking over and over again making this choice and it was even depressed for me to finally say it to everyone at the office. And finally, at the end of March (my birthday as well! ), I closed another chapter of my life with the design agency where I grew up my career with. As I finally say my farewell to my close friends and colleagues, I found myself planning another long journey to a new continent that I would love to explore. Before that, I already made a few plans to travel around Indonesia with some of my beloved people. I took my grandmother to Bali as it was her wishes to travel there together with my mom. It was funny to take them there as both of them wear hijab and Bali is infamous for the bikini, club parties and unrelated things such as Moslem religion. But, they had a great time. After that, I travelled for almost 2 weeks in Yogyakarta with my travel buddy, Ali, where I had a blast time (Yogyakarta has always been on my list to go.) 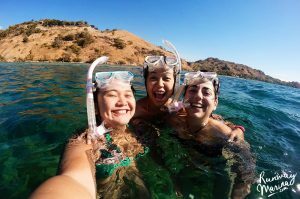 And afterwards, I took another plane to Flores and hop on a 3 days 2 nights tour at Komodo Islands again with my favourite snorkelling team! 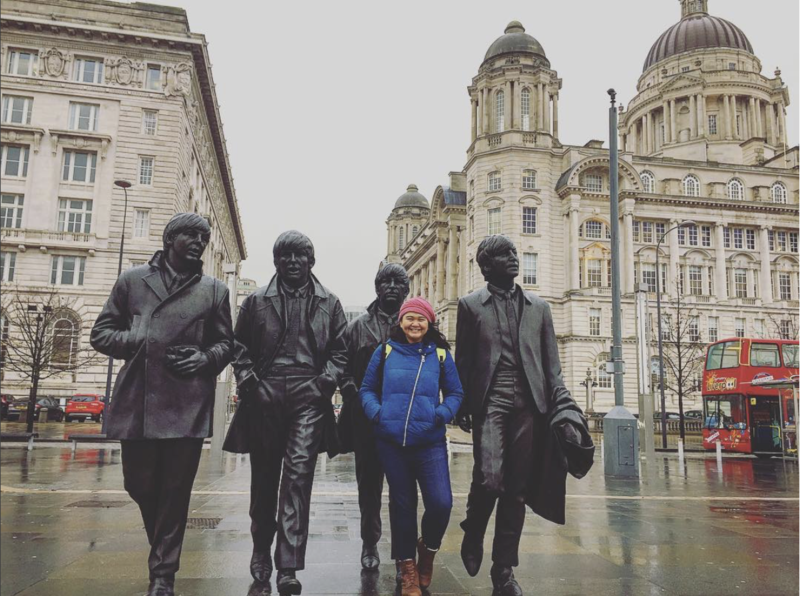 Living on board experience was a great memory that I would love to do it again. And this time with some familiar faces and people that I love. 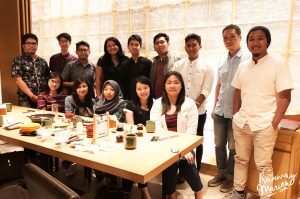 Nonetheless, I also get to know a group of friends who live in Bali, and it was an amazing time as our chemistry just clicked rightaway. During my journey, I slept on this cute hostel named Dorme Tree and became an acquaintance with the manager where she mentioned that she needed someone to replaced her. And it was like.. boom! I thought why didn’t I stay longer then? Why don’t I try to work in a new area where I know that I have a passion for? Meeting with new friends, hosting people (just like Couchsurfing! ), and talk about travelling with people who really love it too! And so I took the job and has been living here as a hostel manager. Yes. Hostel Manager. Can you believe that? How funny it is that time has been passing by and I have become acquainted with so many locals here as it feels like family all over again. 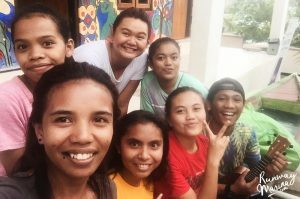 I get to learn about their culture, their languages, travel around Labuan Bajo and most of all, I finally doing something that doesn’t involve Adobe Photoshop that much. The best girlfriends and source of my energy in Labuan Bajo! Ever since then, it’s been almost 4 months and I have quite familiar with the customs, daily life and the people here. I was quite satisfied with the quality of life here. Small town with a one-way street system, no traffic, stunning sunset, good healthy food, and of course I get to swim all the time. Even though there were plenty of things that I missed in a big city (Cinema! Junkfood! Oh my god! ), I found myself more centred, relax (sometimes), and learn something new almost every day. 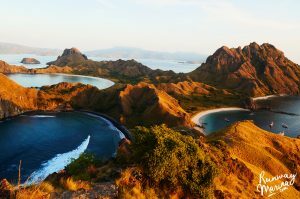 So while I am here, I am gonna give more insider information about travelling here in Flores, especially in Labuan Bajo. Expect to get a lot of post about how to travel on this island! 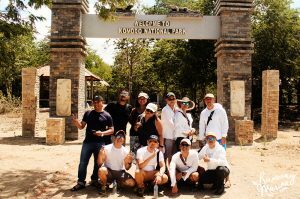 Meanwhile, if you had planned to come to Komodo National Park, don’t forget to say hi to me here. As I am gonna be here until mid-October!